It is a Sierra Elegant click pen plated in chrome with black chrome accents, further highlighting the beauty of the pen. 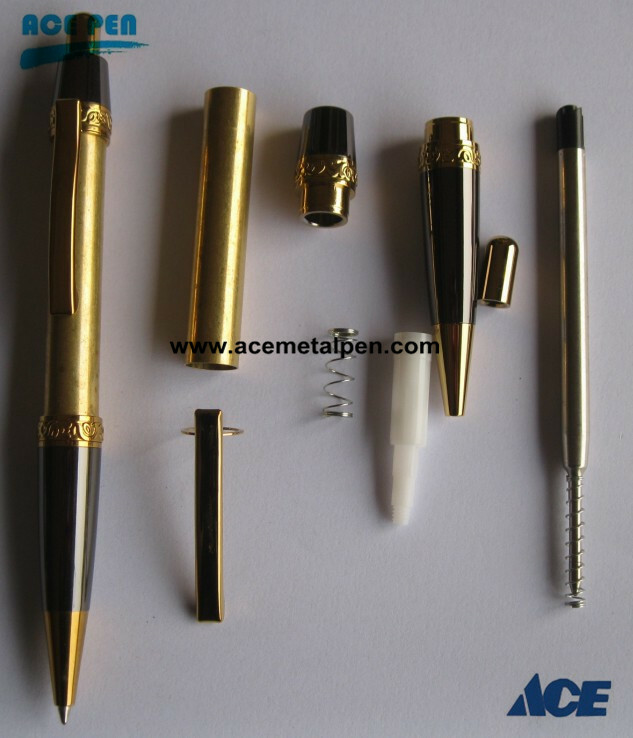 This pen uses premium Parker style ballpoint or gel refills. Rotate the pen top counter clockwise to change the refill. 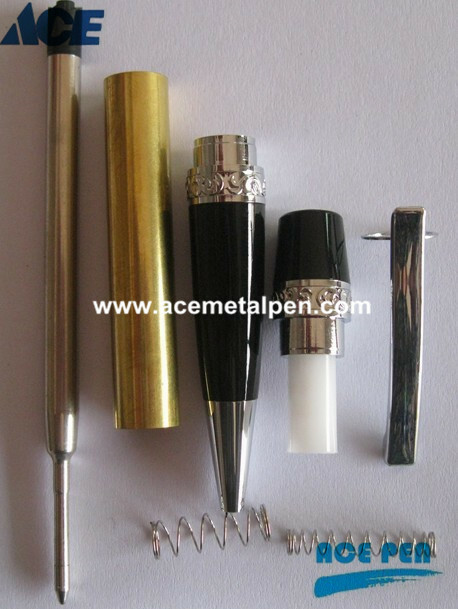 This Black Chrome Sierra Elegant Beauty Button Click pen kit is a new version of the Sierra Ballpoint pen kit. This kit includes a brand new, softer clicker for a smoother writing experience. this pen kit has an attractive, high-end look. This kit is very easy to make with one tube, it uses a Parker style refill (including gel refills), and the entire pen is designed for a comfortable writing experience.